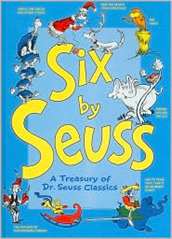 An anthology of six stories by Dr. Seuss, featuring And To Think That I Saw It On Mulberry Street, The 500 Hats of Bartholomew Cubbins, Horton Hatches the Egg, How the Grinch Stole Christmas!, The Lorax, and Yertle the Turtle. 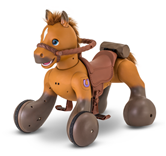 These classics are the perfect gift for the fussy youngster. With a choice of six Dr. Seuss classics to read from, even the most fickle school-age child is satisfied. Plus, that story about 500 Hats... well we thing it's a fun book for the little fashionista.